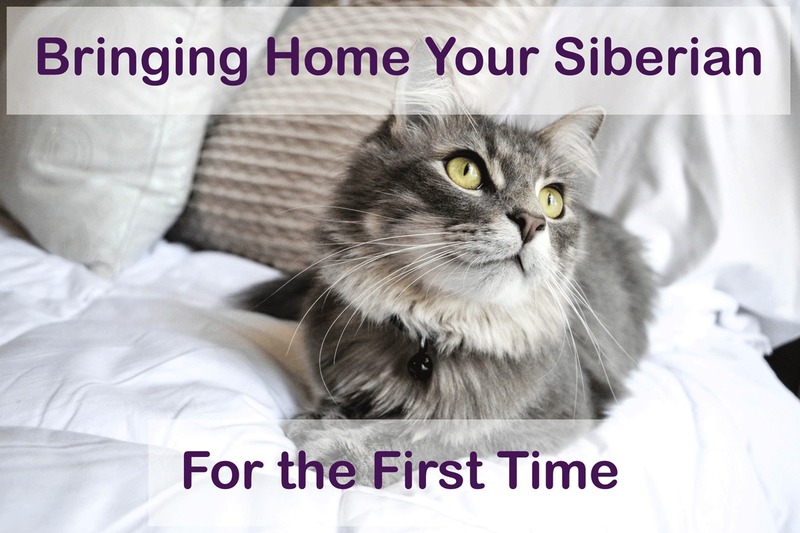 There’s a lot of preparation to do before your Siberian even enters your home. Cats don’t generally like change, and being territorial creatures means they’re particularly sensitive changes in their surroundings. Environments will a lots of space can be overwhelming to a new cat who doesn’t yet trust there aren’t dangers lurking everywhere. Designate a room, such as a bedroom or bathroom, they’ll stay in for a while until they’re ready to explore more. Be sure that they have access to food, water, a litter box, toys, a cozy place to lay, and a scratch post. Also provide a place they can hide in or under so they feel safe, like a cat den, a box with a hole cut in the side for a doorway, or the cat carrier they came home in. 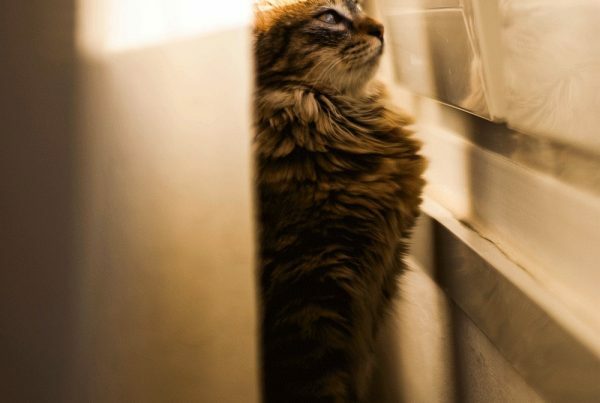 If this is the very first cat you’ve had in your home, you’ll also want to “cat-proof” the place so they don’t find crevices to crawl in or sharp edges to cut themselves on. Look for windows without screens, open ductwork, missing ceiling tiles or cupboards that open easily. The first day of your Siberian’s introduction to your household is an exciting time; you can’t wait to show them around, give them their new toys and spend quality time together. However, for your new cat this can be very stressful and they’ll likely not be very playful or affectionate. They may even hide under the bed or in a corner for days or even weeks. Be sure to use a solid, comfortable cat carrier when transporting them home, and never let them out in the car. It may be tempting with their whining and crying, but you can run the risk of them getting stuck somewhere in the vehicle or escaping out the door when you open it. When you’ve arrived home, let them out in the room you’ve designated for them and give them some time and space to explore. Sit on the floor and wait for the cat to come to you as opposed to reaching out to them. They may need some time to become familiar with their surroundings, and it’s best not to overwhelm them with social interaction right away. Give them a safe place that they won’t be picked up or disturbed from such as their cat den or cat bed. Try to provide the same food your cat was getting at the breeder or shelter to reduce the amount of newness in their life. He or she may not be keen on eating right away, but should resume to normal after a day or two. 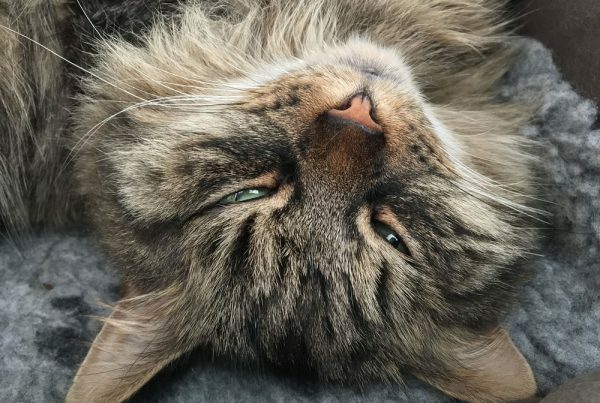 Do I Introduce My Siberian to Other Pets? Do not introduce you new feline friend to other pets just yet. Adding pet introductions to an already stressful new environment could end in a bad first impression that may take longer to overcome in the weeks ahead. You’ll want to wait at least 4-7 days before doing this. Every cat adjusts to their new home differently. Some will feel comfortable and confident in no time at all, while others may hide for long bouts of time continuing for weeks. When you feel your Siberian is feeling more accustomed to their designated room, let them into a larger space with some rooms still closed off and let them explore even more. Over the next couple of weeks progressively allow them into more and more rooms until they have full run of the house. If you have other pets, slowly introduce them first by scent, then visually, and then allow full contact. Read more on introducing a new cat to a resident cat here. 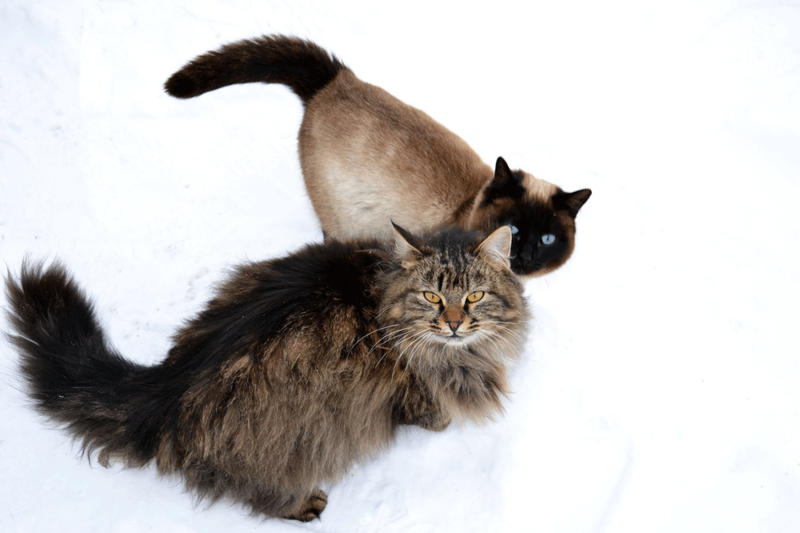 As mentioned before, wait at least 4-7 days before attempting to introduce your new Siberian to any other pets. Make sure you schedule a check up with a veterinarian within the first few weeks as well. This will establish records with the vet and serve as a baseline for future visits. Make sure to take any records you have that the breeder may have provided for you, such as immunizations.